I use a GoPro 3 for external video. Every time I record I make sure to first change the Field of View (FOV) from Medium -> Narrow. But once the Lap Timer app connects to the GoPro and begins auto recording all the footage is captured in Medium FOV. I've tried changing the GoPro settings directly using the camera controls as well as via iPhone software but they never seem to carry over whenever Lap Timer is used in conjunction. Initially I thought this was a deficiency of GoPro (maybe firmware update needed) but I've confirmed that any settings I make stay as-is when I record normal videos outside of Lap Timer. 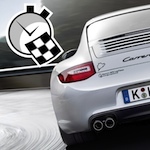 Does the Lap Timer app change the camera to some default setting? Re: Does Lap Timer Use Own Default GoPro Settings? The setting can be found in LapTimer ‣ Administration ‣ Settings ‣ MultiCam Control ‣ MultiCam Preset. The reason we have added this setting is it allows the user to optimize memory and energy usage, and transfer size of footage recorded. As an example, if you know you will use the front wheel footage from our sample scenario as a picture in picture video only (i.e. not as a master video), it makes sense to record it in single density from the beginning. There are three settings available: Picture in Picture optimized video settings for later use as a picture in picture video, Master will set the video to allow a later use as a master video, and None does not change the video settings selected in MultiCam itself. Use the last setting value in case you want to set an individual video preset in MultiCam or the external cam itself. Thanks Harry, I see that you also responded to this question few weeks ago. Sorry I didn't see the update from you.